A book by David Sharrock, lawyER of Sharrock Pitman Legal, comprising A 440-page journey through 44 years of personal and enterprise experience, with 68 self-assessment tools, samples and templates. THIS BOOK WILL BE OF CONSIDERABLE PRACTICAL HELP TO ALL ENTERPRISES IN THE 'FOR PROFIT' and 'not for profit' sectors, regardless of their size, type or industry. Fighting for enterprise success is on, but the real question is: are we up to the challenge? Tools and templates, ways and worksheets to deepen your awareness and grow your skillset, to unlock your potential as an enterprise leader. 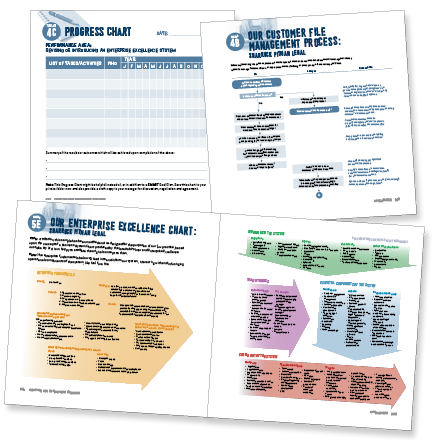 Inspiring self-assessment tools to support your personal and professional journey into knowledge, into leadership, and into enterprise success. Resources to kickstart your enterprise purpose.From personal audits to team processes. From file management to governance essentials. Connect with the person behind the wisdom, with David’s candid stories of greatest hits, near misses, and a lifetime of inspired success. It tells the stories and secrets—with candour, vulnerability and humour—from a career serving so many enterprises as a lawyer, mediator and leader. Each one of 20 chapters includes candid tales of real challenge. Baring all, David reveals the good, the bad, and the ugly of 44 years in enterprises. 440 pages of wisdom from 44 years of entrepreneurial experience. 20 ‘Leading on L-plate’ sections pull back the curtain on genuine, human, vulnerable leadership.